I was able to take these beautiful Kauai Photos when I found a very cheap flight with US Airways. The routing went from Munich to Honolulu, with stops in Philadelphia, San Francisco and Phoenix. With Mesa Airlines I continued to Kauai, where I picked up my rental Chevrolet Camaro at Hertz. With this awesome convertible I drove around this paradise island for three days. 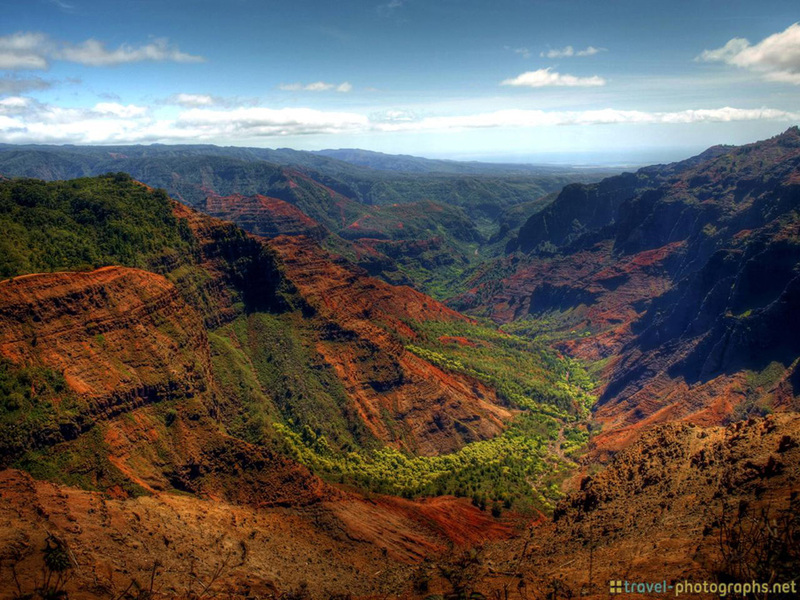 To get the best Kauai Photos, I drove to Waimea Canyon first. It offered incredible views over the Canyon at top of the loop road. On the way I stopped at Wailua and Opaeka Falls, which offer typical Kauai Photos as well. The next day I hiked the famous Kalalau Trail at Na Pali Coast in the early morning until I reached the beach and the river flowing into it. The rest of my time on Kauai I drove around for perfect photos, like sunsets or secret beaches. Before flying back to the mainland, I stopped in Honolulu for some pictures and little driving in a Ford Mustang. I was also able to visit the memorial site of Pearl Harbor, which is quite worth a visit. I just loved Kauai – check out my list of the most beautiful places in the USA for more! Amazing photos you are an amazing photographer i am very impressed! What camera, settings, and computer programs were used? Newbie here..